Decision makers at many organizations question the investments made in IT. This is often because they don’t fully understand the value delivered by IT service management (ITSM) or by compliance with recommended best practices such as those defined by the IT Infrastructure Library or ITIL®. This often pressures CIOs to demonstrate the value of IT to the business. 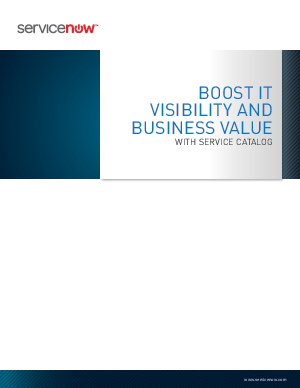 Learn how creating a great service catalog can help alleviate these pressures and why many consider it to be fundamental to any IT improvement initiative.